Our new Website is coming soon. Eventually all the information and links that were here before will return with new information and organization. and video here in ogg theora free formats. Gnubies is currently in hiatus. We are still looking for meeting space. We plan to return with additional focus on GNU/Linux netbooks. If you know of any available space please contact us! Wednesday January 4, 2006: Richard Stallman (rms):What's GNU? Software that Respects Your Freedom. Monday January 17, 2005: Joshua Birnbaum: Intro to Networking Tools for Gnubies. Wednesday, February 11, 2004:Tom Dyas:Intro to Legal Issues for Gnubies. Sunday, January 25, 2004: Installfest: 16 Beaver St.
Sunday, December 21st: Installfest: 16 Beaver St.
Sunday, October 19th: Installfest: 16 Beaver St.
Wednesday October 8 2003: Forest Mars: You are 0wned? Retaining control of the next computer you buy and using Free Software freely. Sunday, September 21st: Installfest: 16 Beaver St.
February 12, 2003: Steven Kreuzer: Knoppix:A Debian GNU/Linux distribution that runs from a CD and doesn't have to be installed on your hard drive. 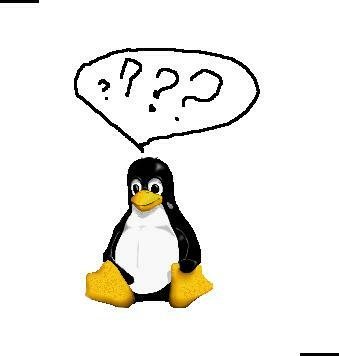 June 12, 2002: Wendell Anderson: "GNU/Linux Distributions - Which One for You?" April 10, 2002: Ari Jort: I've Decided to Install GNU/Linux - Now What? January 9, 2002: Tom Dyas "Getting and Installing Free Software from Source Made Easy"
December 12, 2001: David Hand: "Putting Together a Linux Box (or buying one)"
November 14, 2001: Ari Jort: "Free Software Email and Privacy -- GPG"
October 10, 2001: Ari Jort: "Free Software Email and Privacy -- Introduction"
December 13, 2000: Wendell Anderson: Linux Distributions: Which One for You? April 12, 2000: Dr. Ruben I. Safir: Three ways Linux can improve your life, change society and empower the user: Practi cal tools for Linux.